German Samoa on 29 August 1914. By Karen Cameron and produced by the NZHistory.net.nz team. When war broke out in Europe in August 1914, Britain asked New Zealand to seize German Samoa as a "great and urgent Imperial service". New Zealand’s response was swift. 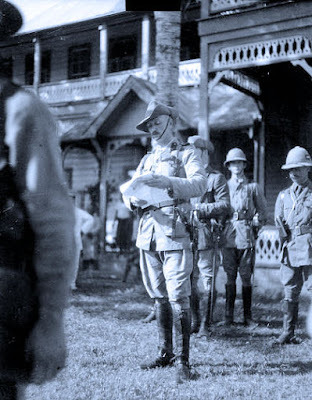 Led by Lieutenant-Colonel Robert Logan, the 1400-strong Samoa Advance Party of the New Zealand Expeditionary Force landed at Apia on 29 August. There was no resistance from German officials or the general population. Next day Logan proclaimed a New Zealand-run British military occupation of German Samoa. All buildings and properties belonging to the previous administration were seized. 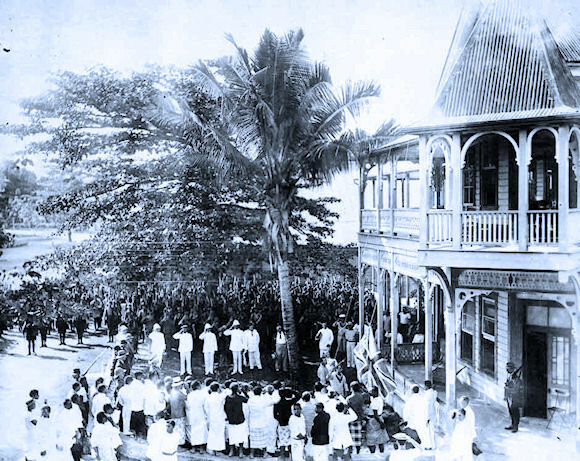 In the presence of officers, troops and "leading Native chiefs", the British flag was raised outside the government building in Apia. 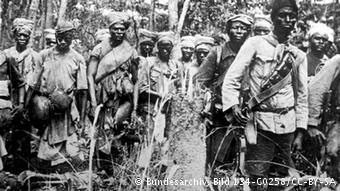 This was the second German territory, after Togoland in Africa, to fall to the Allies in the First World War. The Samoan archipelago comprises six main islands, two atolls, and numerous smaller islets located in the southwest quadrant of the Pacific Ocean. Its closest neighbors, the northern members of the Tonga group, are 210 km to the southwest. 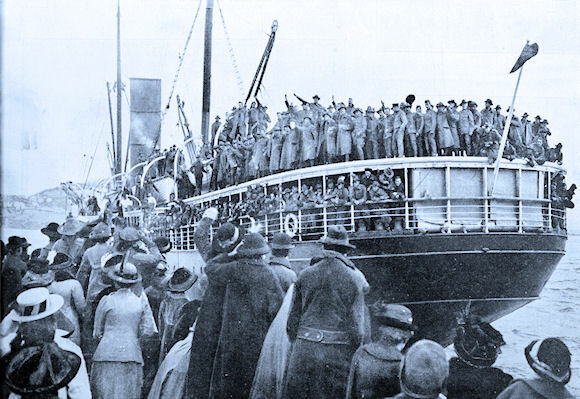 German Samoa on the troopships Monowai (shown above) and Moeraki. Samoans were not consulted when Britain, Germany, and the United States agreed to partition their islands in December 1899. Germany acquired the western islands (Savai’i and ‘Upolu, plus seven smaller islands), while the United States acquired the eastern islands (Tutuila and the Manu’a group) and established a naval base at Pago Pago. 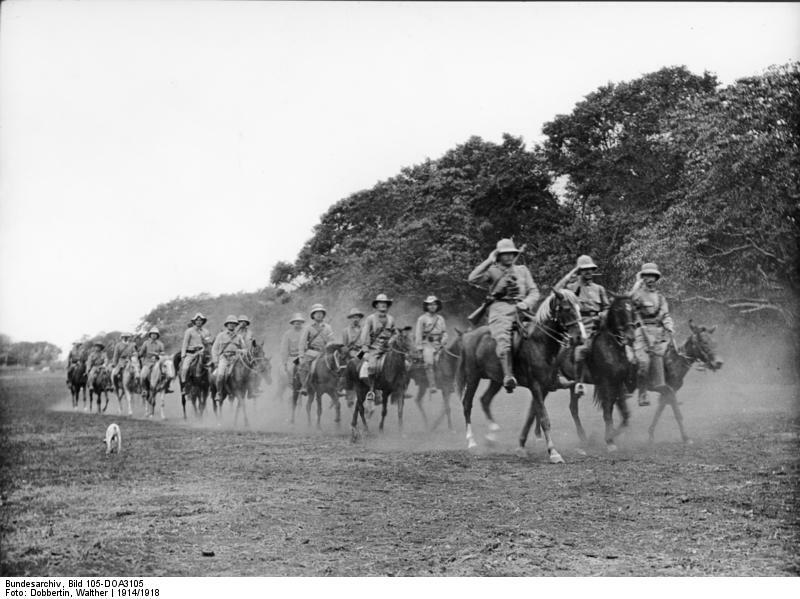 With hindsight, New Zealand’s capture of German Samoa on 29 August 1914 was an easy affair. But at the time it was regarded as a potentially risky action with uncertain outcomes. As it happened, New Zealand had a great deal of luck on its side. At the outbreak of war, Samoa was of moderate strategic importance to Germany. The radio transmitter located in the hills above Apia was capable of sending long-range Morse signals to Berlin. It could also communicate with the 90 warships in Germany’s naval fleet. Britain wanted this threat neutralized. New Zealand’s troops were vulnerable as they crossed the Pacific. 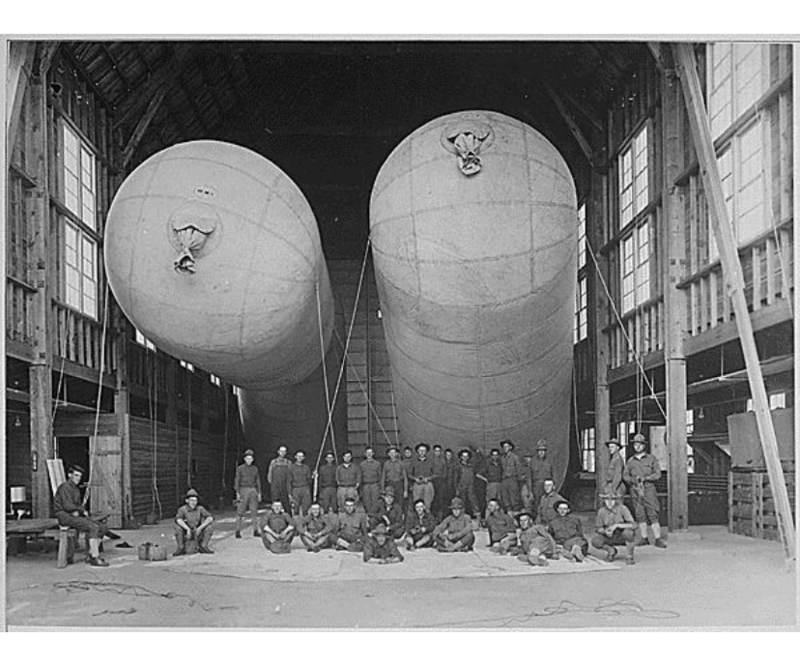 The ships Monowai and Moeraki, requisitioned from the Union Steamship Company as transports, were slow and unarmed. After sailing from Wellington on the morning of Saturday 15 August, they rendezvoused with HMS Philomel, Psyche, and Pyramus. These aging British cruisers were initially their only escorts. The danger to the New Zealand convoy was real. At the outbreak of war, Germany had two heavy cruisers, SMS Scharnhorst and SMS Gneisenau, three light cruisers and various other ships stationed in the Pacific. Throughout the two-week voyage to Samoa, the location of the German East Asia Squadron remained unknown to the Allies. It was only on reaching Samoa that New Zealand realized the weakness of the German defenses: 20 troops and special constables armed with 50 aging rifles. The single artillery piece at Apia was fired every Saturday afternoon but took half an hour to load. It was later discovered that the German administration had received orders from Berlin not to oppose an Allied invasion. The Samoa Advance Party of the New Zealand Expeditionary Force landed at Apia on 29 August with no opposition. But had Germany placed greater importance on Samoa, or had the German East Asia Squadron intercepted the New Zealand convoy en route, the story could have been very different. A fortnight later, on 14 September, the Scharnhorst and Gneisenau arrived off Apia and the New Zealand garrison braced itself for large-caliber gunfire. Luckily, the cruisers left once their skippers realized that Samoa was no longer in German hands. They raided Tahiti on 22 September, sinking a French gunboat and bombarding Papeete. German Samoa, 30 August 1914, the morning after the occupation. Historian J.W. Davidson described New Zealand rule over Samoa as a "ramshackle administration". German officials were replaced by New Zealand military officers, civilians, or British residents. These often lacked the experience or qualifications to do the job. As military administrator, Robert Logan governed a population of around 38,000 Samoans and 1500 Europeans (including part-Europeans and about 500 Germans). Samoa’s inhabitants also included 2000 indentured Chinese laborers and 1000 Melanesian plantation workers. 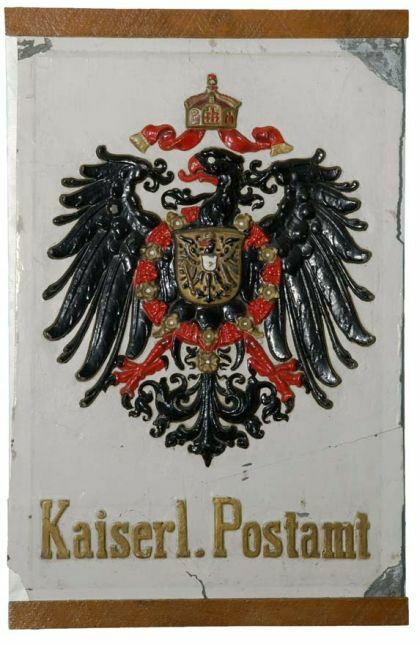 The political and economic systems established by the Germans were largely maintained, but not strictly enforced. Samoans returned to the ways of fa’a Samoa—Samoan customs and tradition—which the Germans had vigorously suppressed. Germany was stripped of its colonial territories following its defeat by the Allies in the First World War. In 1920 the League of Nations allocated German Samoa to New Zealand as the mandate of Western Samoa. The territory kept this name when it regained its political independence in 1962. Despite some complaints, New Zealand’s wartime occupation of Samoa was largely uneventful. The same could not be said of the postwar years. In late 1918 Western Samoa was devastated by an influenza pandemic which killed up to 8500 people—a staggering one-fifth of the population. The 1920s saw the rise of an independence movement, the Mau, which opposed New Zealand rule. Its campaign culminated in the terrible events of "Black Saturday", 28 November 1929—the day that New Zealand military police fired upon a Mau demonstration in Apia, killing 11 Samoans. 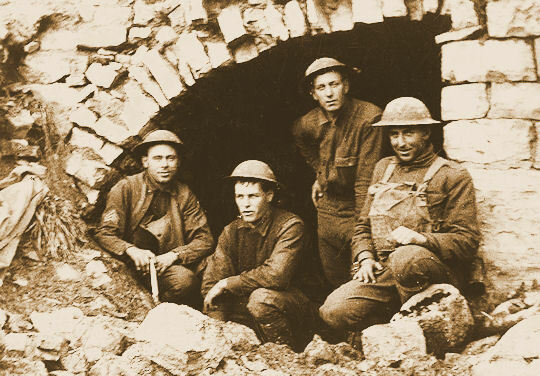 The War was Over There but the Doughboys who comprised the American Expeditionary force were drawn from the cities, towns and farms across America. Few came from a state as lukewarm in its support of the War as those from the Badger State. 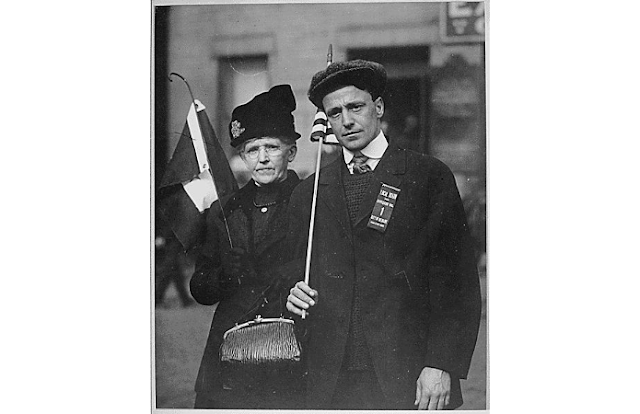 The Great War Comes to Wisconsin is their story and that of those left at home. More than most other states, Wisconsin had a population derived from Germany, Poland, and Scandinavia, nationalities inclined to be either neutral or pro-Central Powers. In addition to ties of consanguinity the immigrants brought traditions of socialism, with its pacifistic tendencies with them. Political support for the war was weak in the Midwest in general and nowhere more so than in Wisconsin. Dubbed "The Traitor State," its Sen. Robert LaFollette became the voice and face of opposition to American involvement in the war. However, once the decision to enter the war was made many Wisconsin residents followed the colors and none more famously than the 32nd Division, "Les Terribles." The Wisconsin National Guard got its first taste of war in 1916. When the regular Army invaded Mexico in search of Pancho Villa, Guard units from across the country were called into federal service and moved to the border to support the invasion. 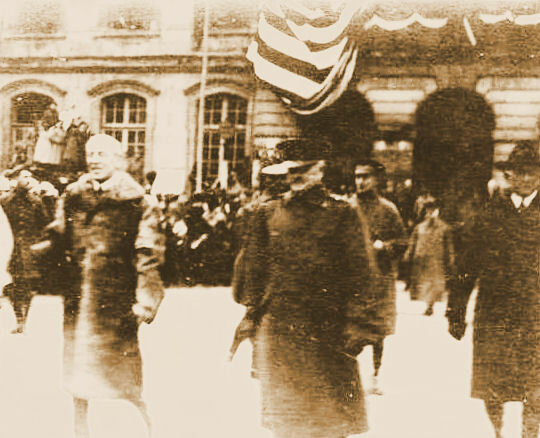 From across Wisconsin, 4,500 Guardsmen and recruits were sent off with parades and bursts of patriotic fervor as they left for Camp Douglas to be mustered into federal service. The Wisconsin Guard was better prepared than those of many states for mobilization but deficiencies in supply and training persisted. At the conclusion of their five-day July train trip from Camp Douglas to San Antonio the troops learned that their Wisconsin issued wool uniforms did not wear well in Texas' midsummer heat. With virtually no action in Texas the six-month stay degenerated into training and boredom. Although the reason for the maintenance of the force along the border was unclear to many, including Gov. Philipp who began asking for the return of the units in October, the fear of an eruption into all-out war between the United States and Mexico may have been behind the extended deployment. It was not until February 1917 that the southern threat was receding and the troops were home in Wisconsin. By July 15 they would be back in federal service. With the Declaration of War on 6 April 1917, the nation turned to a draft rather than volunteer units to raise the wartime army. 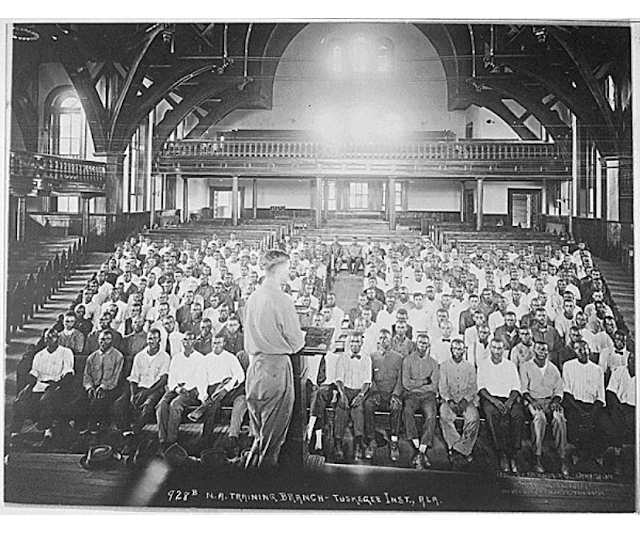 While blacks served in segregated units, Wisconsin Indians were integrated into white units. Wisconsin's men—118,000 (about 5 percent of the population)—served mostly in the Army, with the largest concentration in the 32nd Division. The 32nd was initially formed by merging 15,000 Wisconsin guardsmen with 8,000 from Michigan, perhaps a latter-day version of the Iron Brigade of Civil War fame. On 2 August the Guard units arrived at Camp Douglas en route to Camp MacArthur in Waco. By late January and early February the movement to Europe began. Thirteen of the first to go were killed when the troopship Tuscania was sunk by a German submarine off Liverpool. In late March, the division was reassembled for more training in France. On 30 July the 32nd rotated into the front line in support of the Aisne-Marne offensive. Between then and 6 August the division crashed through German defenses and advanced almost 12 miles along a two-mile area between the villages of Cierges and Fismes. The cost was high, 777 killed or died of wounds, 1,153 severely wounded or gassed, and 12 missing. In five days of incessant fighting commencing on 28 August, the 32nd gained a bridgehead across Vesle River. On 30 September they were back in combat for another 20 days against the strongly fortified Kriemhilde Stellung (position). Spent by their exertions, the 32nd was moved into reserve until the Armistice. Wisconsin suffered 8,000 casualties, including 1,800 who never returned home. The 32nd suffered the third highest casualties among American units. By the end of the war, between losses and replacements, it had transformed from a Wisconsin-Michigan unit to an American division. Its mission completed, the 32nd began its homeward trek on 20 April 1919 and all were in the States by 20 May. The story of Wisconsin in the Great War is more than the 32nd, and The Great War Comes To Wisconsin also covers the development of the state in 1914, the responses of the ethnic groups to the rising crisis and the political struggles, in-state and in Washington, between the pro- and antiwar factions. The struggles between Republican Senator LaFollette, Rep. Esch, and Governor Philipps, and Socialists Berger and Horn and supporters of the Wilson Administration, set the stage for clashes between free speech and patriotism in wartime Wisconsin and America. I recommend this for anyone with an interest in the effect of the war on America's warriors and its home front. One famous legend of the Great War is still alive. It has many skeptics, but at least one 21st century champion of its validity and it is commemorated with the bronze sculpture shown above at the Canadian War Museum. 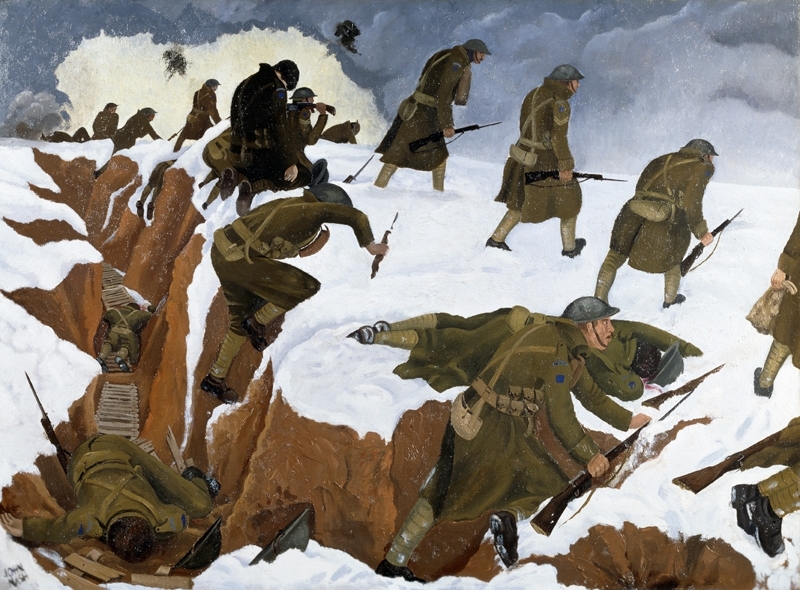 The story of the Crucified Canadian first broke in May 1915 after the Second Battle of Ypres, during which Canadian forces played a major role. This was the first news account. Apparently in response to skepticism over the first account, another article soon appeared. There is, unhappily, good reason to believe that the story related by your Paris Correspondent of the crucifixion of a Canadian officer during the fighting at Ypres on April 22, 1923, is in substance true. The story was current here at the time, but, in the absence of direct evidence and absolute proof, men were unwilling to believe that a civilized foe be guilty of an act so cruel and savage. Now, I have reason to believe, written depositions testifying to the fact of the discovery of the body are in possession of British Headquarters Staff. The unfortunate victim was a sergeant. As the story was told to me, he was found transfixed to the wooden fence of a farm building. Bayonets were thrust through the palms of his hands and his feet, pinning him to the fence. He had been repeatedly stabbed with bayonets, and there were many punctured wounds in his body. I have not heard that any of our men actually saw the crime committed. There is room for the supposition that the man was dead before he was pinned to the fence and that the enemy, in his insensate rage and hate of the English, wreaked his vengeance on the lifeless body of his foe. That is the most charitable complexion that can be put on the deed, ghastly as it is. There is not a man in the ranks of the Canadians who fought at Ypres who is not firmly convinced that this vile thing has been done. They know, too, that the enemy bayoneted their wounded and helpless comrades in the trenches. (Times, May 15, 1915. Correspondent, North France). The story was never authenticated during the war, but it had gained something like mythic immortality. 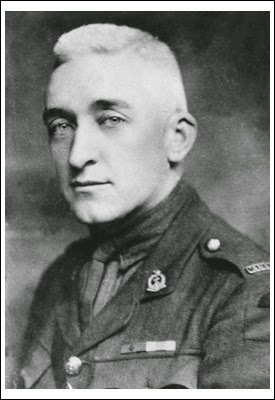 It cropped up again in 1919, when a letter was published by the Nation (April 12th) from Private E. Loader, 2nd Royal West Kent Regiment, who declared he had seen the crucified Canadian. 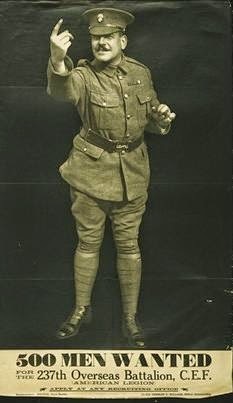 The Nation was informed in a subsequent letter from Captain E. N. Bennett that there was no such private on the rolls of the Royal West Kents and that the 2nd Battalion was in India during the whole war. 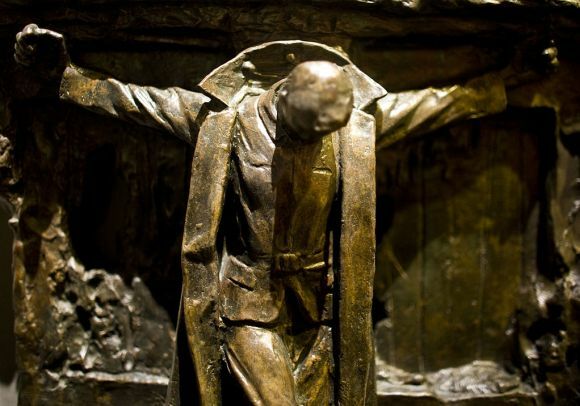 The same year Canadian newspaper publisher and official Lord Beaverbrook commissioned the sculpture, “Canada’s Golgotha", as part of his project for the Canadian War Records Office in London to document the war. 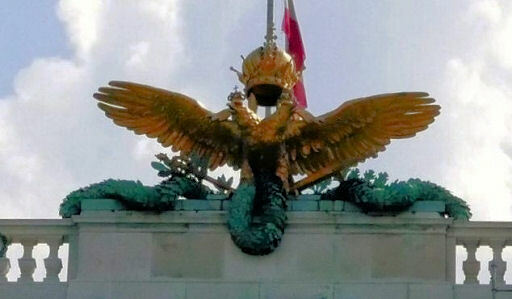 The sculpture was to be shown at an exhibition of war art at Burlington House, London, in 1919, just before the signing of the Paris Peace Treaty. The Canadian prime minister, Sir Robert Borden, asked for investigation into the incident; the German government asked the Canadian government to formally declare the story untrue or to produce evidence supporting it. 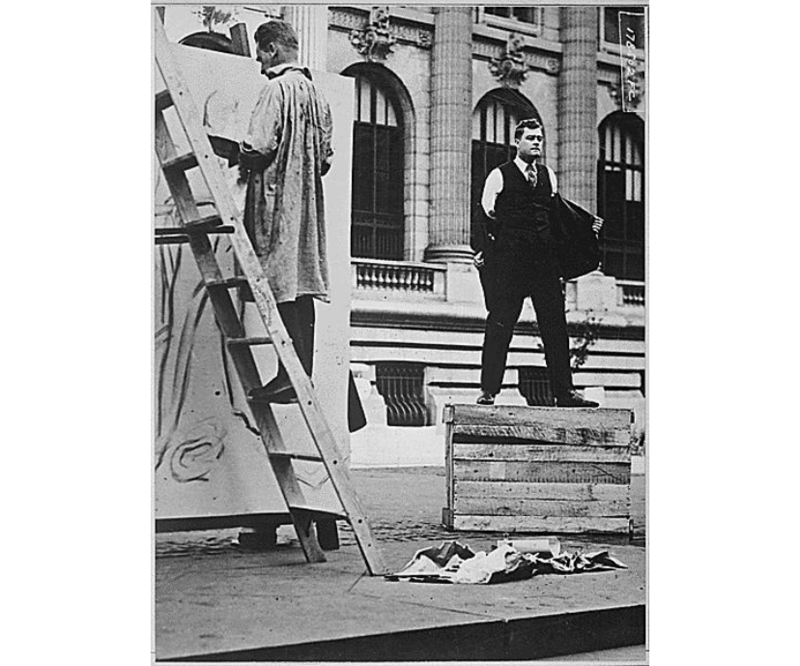 The controversy caused the statue to be withdrawn from the exhibition. 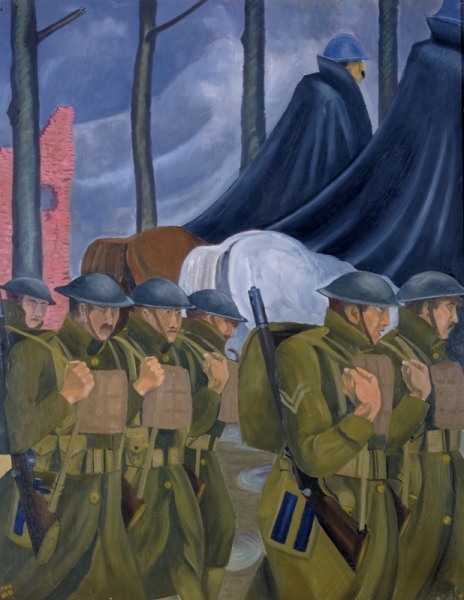 It was not shown again until a Canadian War Museum exhibition in 1992, entitled “Peace Is the Dream." Surprisingly, in 2002 Peabody Award-winning documentary filmmaker Iain Overton reportedly uncovered correspondence from Canadian troops who saw such an atrocity take place firsthand. The soldiers even identified the victim as one of the own—Sergeant Harry Band. Letters to and from Band’s surviving sister even referred to the missing sergeant as the famous “crucified” Canadian. The "real" Harry Band was 29 years old. He was Sergeant of 9 platoon, #3 Company, 48th Regiment (Highlanders), Canadian Infantry (Central Ontario Regiment), 15th Bn Division. His body was never recovered and he is remembered by a plaque on the Menin Gate (Ypres) Memorial, Belgium. That is all that we know for certain and, to honor the memory of all the Harry Bands who fought in WWI, perhaps that is enough to say about World War I and the Myth of the Crucified Soldier. President Woodrow Wilson as "the vassal of the German government"
During his annual State of the Union address on 4 December 1917 Woodrow Wilson first voiced his opinion that war with Austria-Hungary should be formally proclaimed. In a speech necessarily dominated by events in Europe, the President described the Dual Monarchy as "the vassal of the German government...the instrument of another nation." 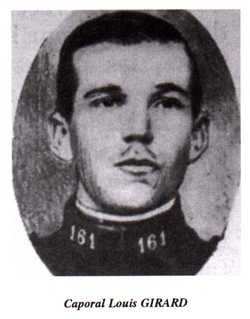 His concerns about the empire’s status as a belligerent had been heightened during the autumn by its armies’ successes in the field against Italy at the Battle of Caporetto. 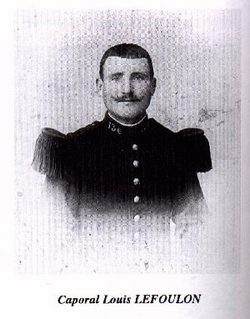 He joined Britain and France in fearing the reverse could prompt the Italians to leave the war. So it was that, eight months after asking Congress for its approval for war on Germany, President Wilson found himself recommending that that war be extended to its ally. "We must meet its force with our own and regard the Central Powers as but one," he told the assembled gathering. Three days later, after short debates in both houses, Joint Resolution 169 was adopted unanimously by the Senate and approved by the Houses of Representatives by a vote of 350 to 1. "A state of war is hereby declared to exist between the United States of America and the Imperial and Royal Austro-Hungarian Government," it said. The President was "hereby authorised and directed to employ the entire naval and military forces of the United States and the resources of the Government to carry on war." Later that day, 7 December 1917, Woodrow Wilson formally signed the declaration. American on the Western Front @AmericanOnTheWF. The United States didn’t enter the war until 6 April 1917. But many American soldiers joined the fight long before that. Nearly 800 of the soldiers who sailed with Canada’s First Contingent in October 1914 were born in the U.S. By war’s end, more than 35,000 Americans had served in the Canadian Expeditionary Force. Those numbers include both U.S. citizens living in Canada and Americans who crossed the border to join the fight—many of them motivated by the sinking of the Lusitania in May 1915. American law prohibited any recruiting for foreign armies on its soil, but it was understood that Americans who pledged loyalty to the king in order to enlist would not be stripped of their U.S. citizenship after they finished their service. In late 1915, Canadian Militia Minister Sam Hughes announced that a battalion of American soldiers would be raised in Toronto. The 97th Battalion, often called the American Legion, had as its emblem a maple leaf with the Washington family crest in the center. The soldiers drew great interest from the local media as they started arriving at Exhibition Camp. Among its recruits were said to be “broncho busters from Dakoty, gold panners from the Klondike,” and veterans from both sides of the U.S.-Mexican wars. The 97th Battalion reached its full strength of 1,400 men by March 1916 but didn’t ship out until August—and in the months in between, the restless soldiers became known for getting into trouble in Toronto. When the battalion arrived in Europe, it was broken up, its men sent to other units as reinforcements. 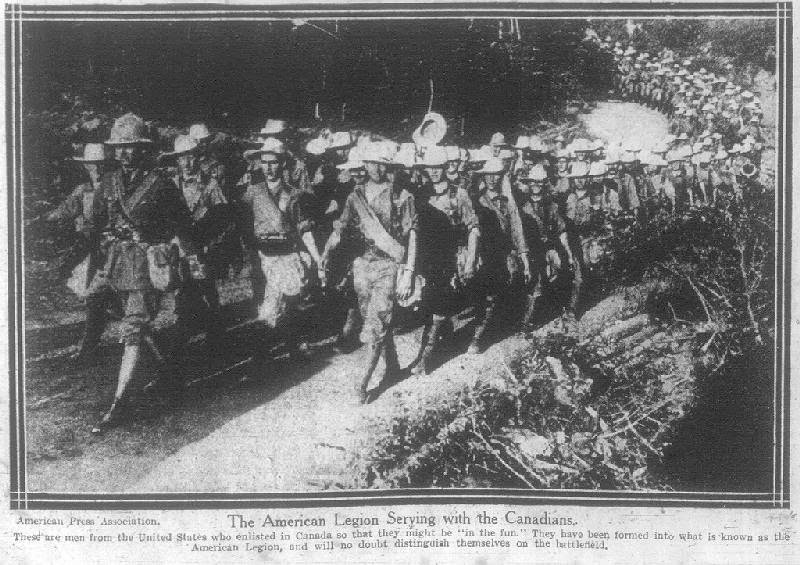 Canada announced in February 1916 that it would be adding four more battalions to the American Legion, but that proved too much for the U.S. government, which was trying to maintain its neutrality in the war. It filed a protest and three of the four battalions disappeared by November, with the fourth disbanding in March 1917. Digging deep in the Internet, I came up with this interesting centennial "talking points" paper from the UK's Foreign and Commonwealth Office. It is very interesting, but remember the point of view as you read along. The authors included this disclaimer: "This is a subjective and partial account of the First World War from an African perspective, intended to give an idea of the issues which might affect African states’ attitudes to the centenary. It is not a narrative of the Great War in Africa." The First World War followed hard on the heels of the Scramble for Africa, that period immediately following the 1885 Berlin Conference marked by a precipitate grab by the European powers for African territory, regardless of its economic or strategic value. In some parts the Scramble had not yet finished, and campaigns of colonial conquest continued even as colonial powers squared up against each other. In other places Africans tried to exploit the distraction of their masters to win back their independence. But even more than they were during the Scramble, Africans were helpless – if not always passive - victims of the Great War. The feeling of futility which characterises popular European perceptions of the War is even more true of their former African subjects. But set against that, African soldiers who fought for France in Europe returned emboldened with new (to Africa) political ideas which contributed to the growth of modern nationalism (a trend greatly reinforced by the experience of French African soldiers in the Second World War). By 1914 all of the western European powers had major holdings in sub-Saharan Africa. In spite of being the largest landowner there, Britain always considered it secondary to India, the “Jewel in the Crown”. But it was home to much of the French empire, most of the German and Italian, and all of the Belgian. There were only two independent territories, Liberia and Ethiopia, the former a virtual American colony and the latter only free because of some deft diplomatic (and military) footwork at the end of the 19th century. Although the continent had almost provoked European wars (including the famous Fashoda incident in 1898 ),all of the colonial authorities got on fine with their neighbors, sharing the “white man’s burden”. There was little to choose between colonial authorities. The ruthlessness which had characterised the Scramble (and the early excesses of Belgian and German colonialism) was tempered by the humanitarian (if paternalistic) impulses which had always been part of Europe’s approach to Africa. The colonial authorities looked forward—as far as scarce resources allowed—to bettering the lives of their charges (mostly by making them productive units in the global economy). 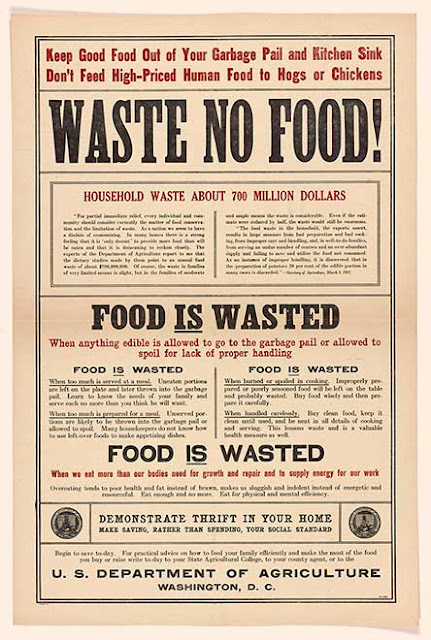 All this was overturned by the outbreak of war, which intensified certain aspects of colonialism (economic exploitation, for example) while diminishing others (like education and health care). Again, there was a reverse to this coin in that—for France at least—development became part of a “blood debt” owed to Africans for their sacrifices in the war. The Berlin treaty had included a clause which forbade the export of European wars to Africa. Although the governor of German East Africa tried to invoke this clause, any pacific civilian impulses were trumped by their military colleagues, infected by the same bellicosity which afflicted their metropolitan counterparts. Before the end of August 1914 the Times was proclaiming Britain’s “first naval victory in the war” on Lake Nyasa (now Malawi) an outcome facilitated by the German commander’s ignorance of the outbreak of hostilities. Across the continent Allied forces mobilized to conquer their German neighbors. South Africa—delayed by a short Afrikaner rebellion—was not far behind, anxious to demonstrate that it was a loyal dominion worthy of sharing the spoils of empire. Most of the German colonies fell relatively quickly. Only in East Africa did they hold out to the end—and beyond. 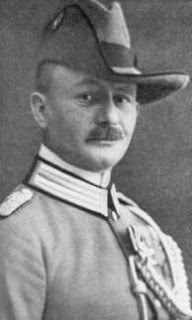 Led by Colonel von Lettow-Vorbeck, the colony’s Schutztruppe fought a peripatetic guerilla war which took it through Mozambique and Northern Rhodesia, surrendering only when it heard of the Kaiser’s abdication. 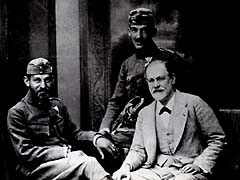 Characteristically, though, von Lettow-Vorbeck’s aim had been not to preserve the German colony but to divert Allied resources from the decisive theatre in Europe. The vast majority of his troops were black Africans, whose tenacity—unwittingly—meant that South Africa did not get the mandate over German East Africa (also, known as Tanganyika, now part of Tanzania) which it acquired over South West Africa, which in turn meant Namibia’s independence was delayed almost 30 years after Tanganyika’s. Other than in East Africa, the most tenacious resistance to the Allies came from indigenous Africans led by fellow Africans, sometimes in ostensible alliance with the Turks. Ominously, and not coincidentally,the hardest campaigns were fought in places all too familiar to 21st-century diplomats. A Tuareg rebellion against the French (in what is now Mali and Niger) linked up with the Senussi rebellion against the Italians (and their British allies) in Libya, the first and only time until 2012 that Tuareg resistance to outsiders took on the nature of a jihad. In Somalia the so-called “Mad Mullah ” fought a long hard jihad against the British which only spluttered to a close in 1920. Worried that the outbreaks of Islamic militancy in East and West Africa might join up, the British conquered the Sultanate of Darfur in 1916. In northern Nigeria the Native Authority in Bussa province (south west of Sokoto) was massacred by rebels in June 1915, prompting the dispatch of a military expedition. Brothers Paul and John Nash were both commissioned as official war artists during the First World War—Paul from 1917 and John from 1918. Paul, the eldest, had attended the Slade School and was a trained artist, while John had no formal art training. 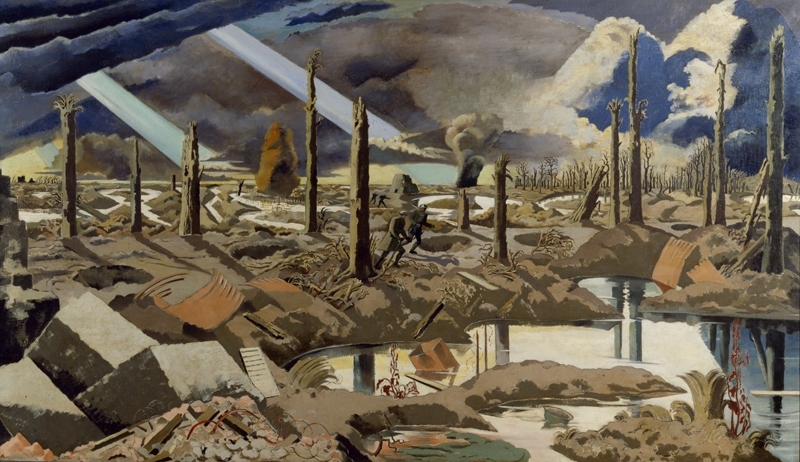 Prior to becoming official war artists, both of the brothers had seen active service on the Western Front. 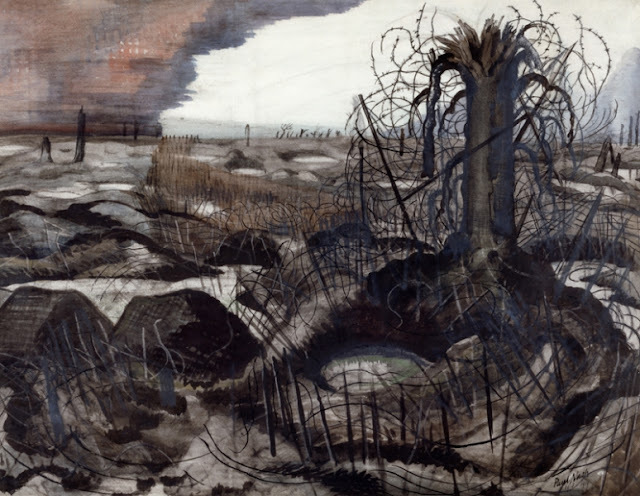 Their experiences and observations are recorded in striking artworks depicting trench life, troop movements, and shattered landscapes. Here is a selection of some of the works they produced. They had met only once, at Gray's Inn, London, on 29 July 1918. 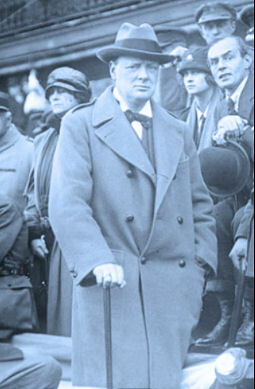 Roosevelt, then Woodrow Wilson's assistant secretary of the Navy, was on a mission to Europe and stopped in London to attend a dinner for the War Cabinet. Another guest at the dinner was Lloyd George's minister of state for war and air minister, Winston Churchill. Despite some later polite disclaimers, neither man then made a particular impression on the other. We don't have to go very far in The Illusion of Victory to realize that the late author Thomas Fleming is no admirer of President Woodrow Wilson—nor of America's role in the First World War and the president's attempts to play a significant part in the peace process. Yet this 500-page volume is interesting and easy to read. It's also a sweeping panorama of the political and military background of the war, Fleming's focus being primarily the motivations and machinations of the politicians of the time, particularly Woodrow Wilson. I was intrigued by this book even though by the end I had a vaguely uncomfortable feeling about the war of "Why did we bother?" That isn't my true feeling about America and WWI of course, but it is an indication of how well the author shows us the war experience through the filter of his own impressions and interpretations. Many critics have labeled the book "revisionist", but it's still well worth reading, whether you agree with Fleming or not. We're presented with a U.S. helplessly at the mercy of British propaganda. We follow an unpalatable Wilson who had not only left academia in "a cloud of acrimony, having alienated almost everyone," but who also possessed an unhealthy appetite for fame. He was overly edgy and sensitive, was "careless about facts and had a volatile, vindictive temper," and was always ready to denounce his opponents as treacherous and un-American. His naïve idealism caused him to try to interfere in European affairs and arrange with the warring nations a "peace without victory"—which was rejected and which caused former president Theodore Roosevelt and other Republicans to practically label Wilson as a traitor. You'll meet all the well-known political figures involved in the war in The Illusion of Victory. I think the one who comes off best is Colonel House, whose fidelity to the president and whose political and social savvy played a considerable part in war decisions and negotiations. On occasion he pretty much saved Wilson from himself in both the domestic and international arenas—until the president decided to drop him. Teddy Roosevelt, of course, was the perpetual thorn in Wilson's side, while Franklin Roosevelt, as assistant secretary of the Navy Department, appears self-seeking, ready to undermine authority, and with an agenda of his own. Of special interest is the president's wife, Edith, a woman fiercely devoted to protecting and supporting her husband no matter what, and who practically ran the White House during the many months while her husband was incapacitated. 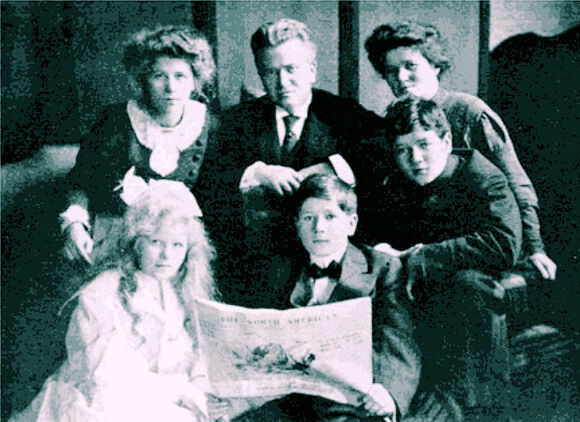 Robert Lansing, Joseph Tumulty, William Jennings Bryan, Henry Cabot Lodge, George Creel, and many others fill the stage of this lively drama of a world at war and a country increasingly filled with "war hate" and almost unbelievable civil repression. Although politics and diplomacy (for better or worse, mostly worse) are the main subjects of this book, the practical aspects of America's participation in the war are not ignored. It's not a cheerful story. The author deals with the usual timeline: military unpreparedness, overly hasty preparation, green troops landing in France and soon facing the enemy, and the constant tug by the British and French to replace their own corpses with American bodies. All U.S. combat operations are touched on, and the way Belleau Wood is dealt with is typical. Fleming argues that the story of Belleau Wood has been distorted by myth and misinformation (he gives examples) and that many green young marines died there needlessly due to the ignorance, ambition, and recklessness of senior officers. Although reported in the U.S. press as a great victory, the slaughter at Belleau Wood actually "revealed the horrendous limitations of General Pershing's version of open warfare" (p. 227). In a similar vein, in the Argonne "everything imaginable proceeded to go wrong with Pershing's army" (p. 270), an army in which five of the nine divisions had never seen combat before—including 2,100 men who had never fired a gun. Soon some 100,000 men deserted from the battle, hiding in the rear, and Pershing had to order officers to shoot men who ran away (p. 271). If this sweeping panorama of World War One were a novel, I think the climax would be the unhappy fate of President Wilson's Fourteen Points, the League of Nations, and the tragic outcome of the Treaty of Versailles. As you might expect, given the book's angle, President Wilson ends his presidency an ill, bitterly disappointed, and practically broken man. Moreover, the nation's enthusiasm for the war quickly melted as a result of unsuccessful ratifications and continued strife in Europe. The editors of the Los Angeles Times decided that "It is quite impossible to tell what the war made the world safe for" (p. 449). 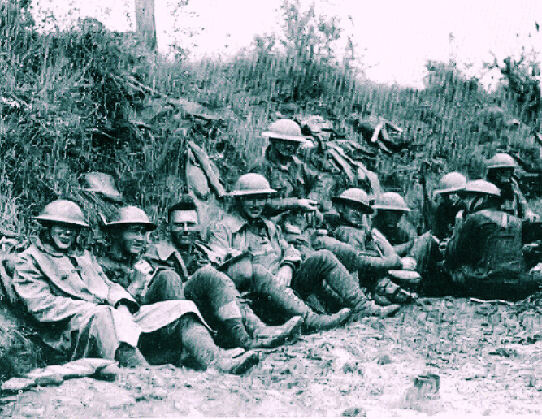 France and Britain traditionally downplayed America's contribution to victory—which is probably why a British Army captain I chatted with a few years ago sadly had no idea that the United States had even been involved in World War One. Many readers will consider this book overly negative or outright revisionist. I feel, however, that Thomas Fleming has written an extremely readable book that is disputable because of the author's interpretation of facts rather than because of false or alternative facts. His title sets out his thesis clearly—and as we know, an illusion can often consist of a vision that others don't experience. Yet with its clear and lively prose, numerous notes, and sources, full index and several interesting black-and-white photos, The Illusion of Victory is a book I would highly recommend reading. In the confusion of wartime. . . We cannot but feel that no event has ever destroyed so much that is precious in the common possessions of humanity. . . Probably, however, our sense of these immediate evils is disproportionately strong, and we are not entitled to compare them with the evils of other times which we have not experienced. We had expected the great world-dominating nations. . . to succeed in discovering another way of settling misunderstandings and conflicts of interest. Then the war in which we had refused to believe broke out, and it brought - disillusionment. Not only is it more bloody and more destructive than any war of other days, because of the enormously increased perfection of weapons of attack and defense; it is at least as cruel, as embittered, as implacable as any that has preceded it. . . It cuts all the common bonds between the contending peoples, and threatens to leave a legacy of embitterment. . .
[I]n this war. . . the state has forbidden to the individual the practice of wrong-doing, not because it desires to abolish it, but because it wants to monopolize it. . . A belligerent state permits itself every such misdeed, every such act of violence, as would disgrace the individual. We welcome illusions because they spare us emotional distress, and enable us instead to indulge in gratification. We must not complain, then, if now and again they come into collision with some portion of reality and are shattered against it. Two things in this war have aroused our sense of disillusionment: the low morality shown externally by states which in their internal relations pose as the guardians of moral standards, and the brutality shown by individuals whom, as participants in the highest human civilization, one would not have thought capable of such behavior. In reality, there is no such thing as 'eradicating' evil tendencies. Psychological - or, more strictly speaking, psychoanalytic - investigation shows instead that the deepest essence of human nature consists of instinctual impulses which are of an elementary nature, which are similar in all men and which aim at the satisfaction of certain primal needs. . . It must be granted that all the impulses which society condemns as evil - let us take as representative the selfish and the cruel ones - are of this primitive kind. [However,] reaction-formations against certain instincts take the deceptive form of a change in their content, as though egoism had changed into altruism, or cruelty into pity. . .The most easily observed and comprehensible instance of this is the fact that intense love and intense hatred are so often to be found together in the same person. . . the most helpful and self-sacrificing members of the community; most of our sentimentalists, friends of humanity and protectors of animals have been evolved from little sadists and animal-tormentors. we run the risk of over-estimating the total adaptability to culture in comparison with the portion of instinctual life which has remained primitive - that is, we are misled into regarding human beings as 'better' than they actually are. . . Circumstances will reveal that one man always acts in a good way because his instinctual inclinations compel him to, and the other is good only in so far and for so long as such cultural behavior is advantageous for his own selfish purposes. But superficial acquaintance with an individual will not enable us distinguish between the two cases, and we are certainly misled by our optimism into grossly exaggerating the number of human beings who have been transformed in a cultural sense. Our mortification and our painful disillusionment on account of the uncivilized behavior of our fellow-citizens of the world during this war were unjustified. They were based on an illusion to which we had given way. In reality our fellow-citizens have not sunk so low as we feared, because they had never risen so high as we believed. The fact that the collective units of mankind, the peoples and states, mutually abrogated their moral restraints naturally prompted these individual citizens to withdraw for a while from the constant pressure of civilization and to grant a temporary satisfaction to the instincts which they had been holding in check. This probably involved no breach in their relative morality within their own nations. There is, however, another symptom in our fellow-citizens of the world which has perhaps astonished and shocked us no less than the descent from their ethical heights which has so greatly distressed us. What I have in mind is the want of insight shown by the best intellects, their obduracy, their inaccessibility to the most forcible arguments and their uncritical credulity towards the most disputable assertions. . . [But] we are mistaken in regarding our intelligence as an independent force and in overlooking its dependence on emotional life. Our intellect, they teach us, can function reliably only when it is removed from the influences of strong emotional impulses; otherwise it behaves merely as an instrument of the will and delivers the inference which the will requires. Thus, in their view, logical arguments are impotent against affective interests, and that is why disputes backed by reasons, which in Falstaff's phrase are 'as plenty as blackberries', produce so few victories in the conflict with interests. Every day. . . the shrewdest people will all of a sudden behave without insight, like imbeciles, as soon as the necessary insight is confronted by an emotional resistance, but that they will completely regain their understanding once that resistance has been overcome. The logical bedazzlement which this war has conjured up in our fellow-citizens, many of them the best of their kind, is therefore a secondary phenomenon, a consequence of emotional excitement, and is bound, we may hope, to disappear with it. In the Champagne sector in 1915, four corporals in the French Army were shot by firing squad as an example to the rest of their companies during the First World War. 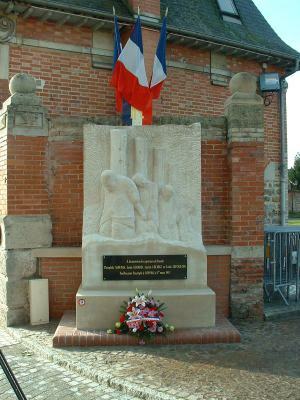 The executions, which occurred in the vicinity of Souain on 17 March 1915, are considered to be the most egregious and most publicized military injustice during World War I in France. 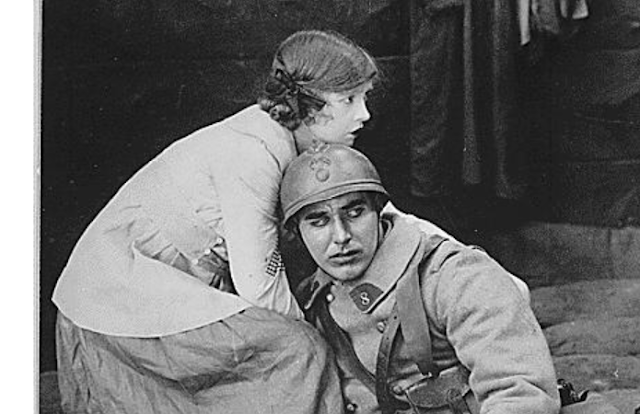 The events inspired the 1957 American anti-war film Paths of Glory. General officer Carl Adolf Maximilian "Max" Hoffmann (1869–1927) from Homberg an der Efze, Upper Hesse, was possibly Germany's most brilliant military mind on the general staff during the Great War. He would be the dominant figure for the Central Powers during the negotiations at Brest-Litovsk. 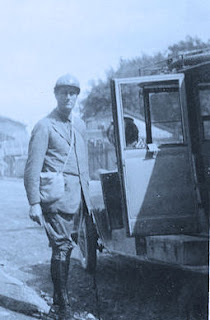 Although tall, he did not have the look of prototypical German officer. As one his early comrades described him: "He was almost the worst athlete, horseman and swordsman of them all...[but] he exceeded them in his terrifying appetite." His career break came when he was sent to Russia to study its language and the tsar's army. He evolved into the German Army's leading expert on Russian affairs and, as a result, he spent the entire First World War on the Eastern Front. As a lieutenant colonel at war's outbreak, Max Hoffmann served as the Eighth Army's chief operations officer, helping plan the Tannenberg encirclement and the Battle of Masurian Lakes. He was promoted to Colonel in 1916 and served as Germany's Eastern Forces Chief of General Staff. 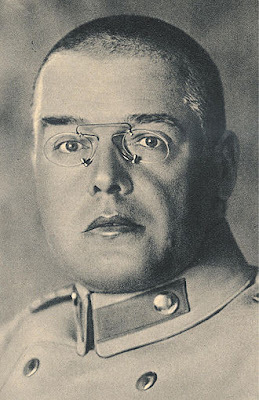 Playing a key role in halting the 1916 Brusilov and the 1917 Kerensky Offensives, he was promoted to major general in 1917, by which time he was de facto commander of the Eastern Front Army under the figurehead Prince Leopold von Bayern. 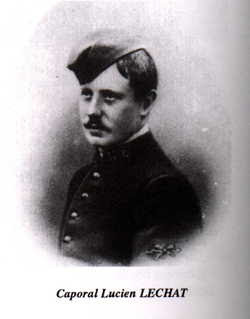 He was thus positioned to play a central role at Brest-Litovsk. Nicknamed "der Lange" (he was 6'4"), Hoffmann has been recognized by many (including himself) as the unaccredited genius behind the Hindenburg/Ludendorff duo, and he sharply criticized both famous commanders in his postwar memoir, The War of Lost Opportunities. 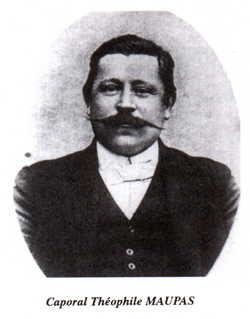 He died on 8 July 1927 in Bad Reichenhall, Oberbayern. 1. Manufacturing airplanes for the government by Dayton-Wright Airplane Company. Completed plane on exhibition. Plant-1. Operation Number 4. 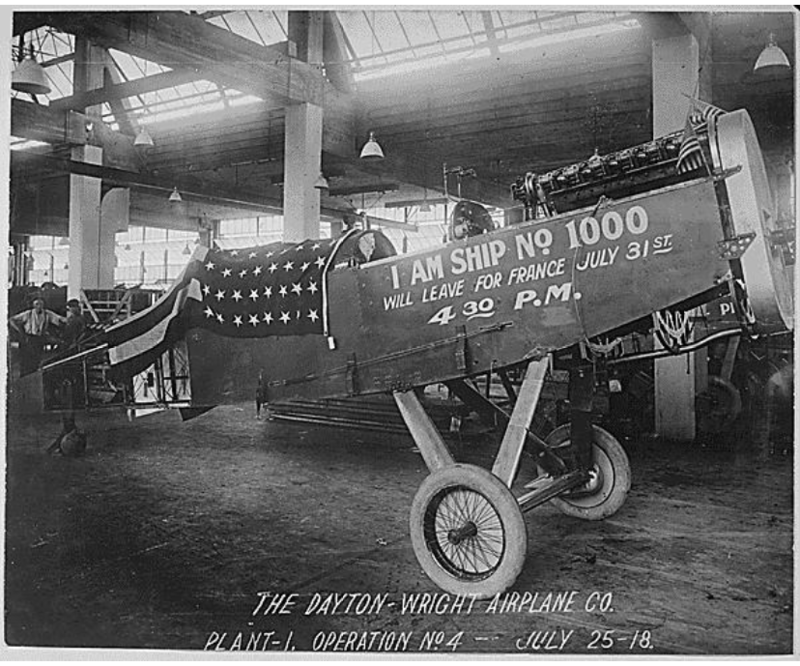 Dayton Wright Airplane Company. 2. 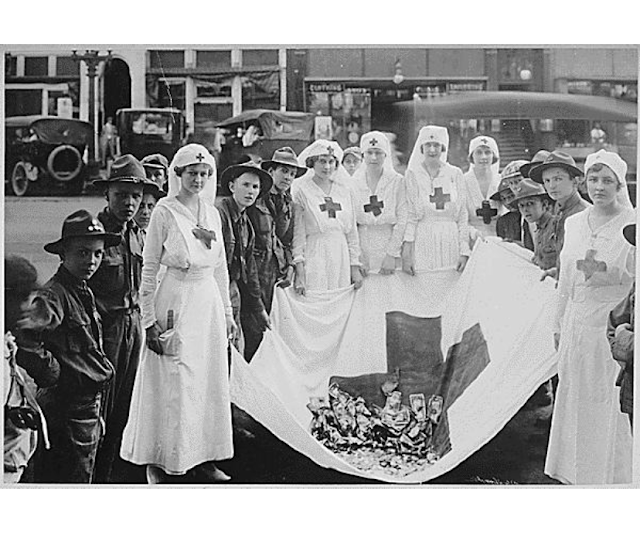 American Red Cross Parade, Birmingham, Alabama. Birmingham View Company. 3. Manufacturing helmets. 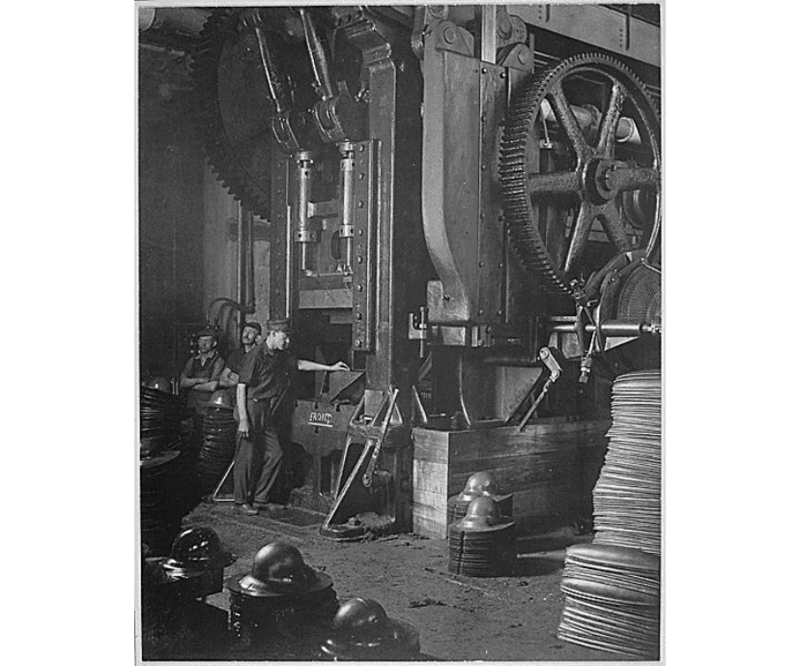 Large power press for shaping helmets in the plant of Hale & Kilburn Corporation, Philadelphia, Pennsylvania. Hale & Kilburn Company. 4. James Montgomery Flagg has given the public an opportunity to see him in action. He produced a life size picture of poster "Tell it to the Marines" in the New York Public Library, to stimulate recruiting. Underwood and Underwood. 7. 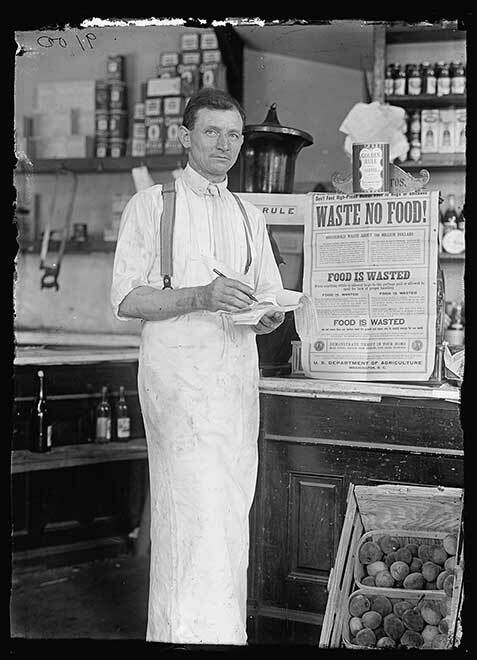 Second Liberty Loan, October 1917. 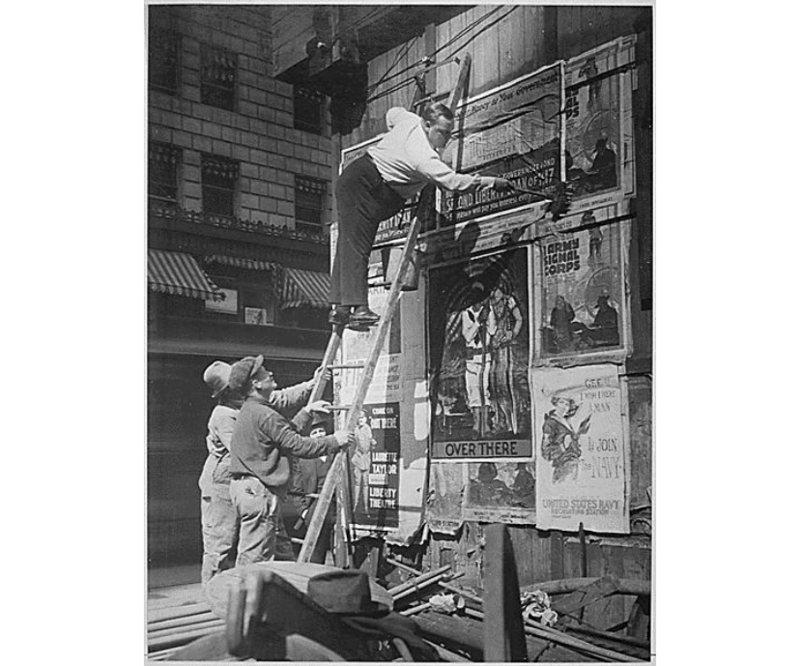 Fatty Arbuckle, the movie star, putting up a Liberty Loan poster at Times Square, New York. 8. 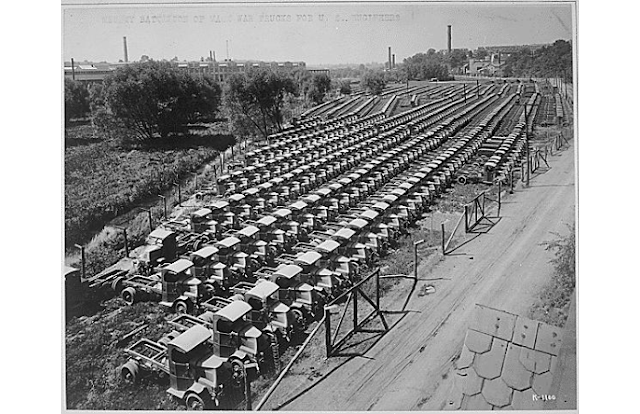 Mighty battalion of Mack war trucks, all for the Engineers Corps. Manufactured by the International Motor Company, Allentown, Pennsylvania. 9. Dorothy Gish in The Greatest Thing in Life, a D. W. Griffith Artcraft picture released by Famous Players-Lasky Corp. In 1917, the port city of Salonika was bursting with Allied troops heading for the Macedonian Front just to its north. Then in August, a fire broke out one Saturday afternoon, and a conflagration ensued. 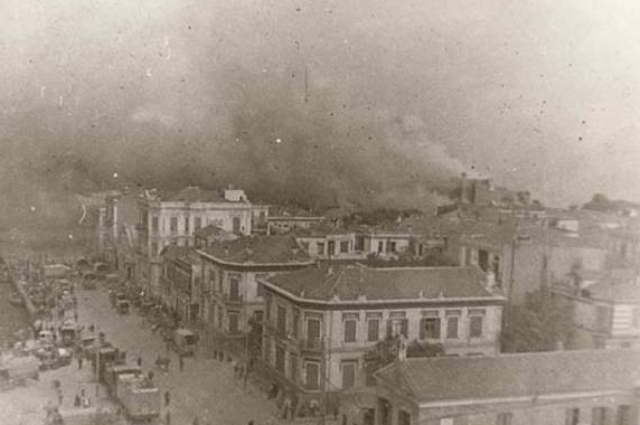 Starting with a kitchen fire at one house at the beginning of Ayiou Dimitriou Street, the fire destroyed, with the help of the Vardaris (a strong north wind), 250 acres of building area, 9,500 houses, and most of the city's churches, banks, schools, printing presses, hotels, and shops. It left 72,000 people homeless, two-thirds of whom were Jews. 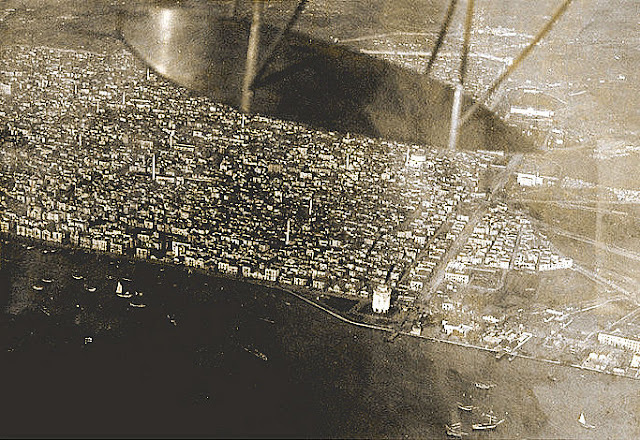 The fire wiped out the traditional, cosmopolitan appearance of the city. I recently stumbled across this account of the fire by Dr. Isabel Emslie Hutton. In 1915 she joined the Scottish Women's Hospitals Organisation and served in France (Domaine de Chanteloup, Sainte-Savine, near Troyes) and then with the Armee d'Orient in Salonika, distinguishing herself by leading the unit which accompanied the Serbian Army during the First World War. About five o’clock in the afternoon we noticed a thin lick of yellow flame just beyond the bazaar. Half an hour later it seemed to have grown bigger, and we all drew one another’s attention to it, but none of us considered it was anything serious, and thought no more about it. The inhabitants must surely have realised the danger, but as they had no fire engines or methods of coping with it, nothing was done. The evening breeze arose and the flames licked along eastwards towards the principal parts of the town. About 7pm Dr McIlroy and I went into the town and walked up to the city walls; there below us was a belt of leaping, roaring fire that stretched almost from one end of the town to the other, and right across the middle part of it above the Rue Egnatia. This great ferocious monster ate up house after house with lightning speed, for the little evening breeze had developed into a mild Vardar wind, and now all the authorities saw that the situation was as bad as it could be, and that nothing could stop the progress of that roaring furnace. It was unforgettable; all the pictures of hell that were ever painted fall short of it in fearfulness, and its hungry roar, mingled with snarls and hisses and the crash of the falling ruins, was most awe-inspiring. The inhabitants ran about trying to save their possessions and not knowing where to take refuge. The progress of the flames was now so fast that the streets were thronged with the people carrying what they could, and the hamals were making a fortune carrying great loads of household goods for the highest bidder. A huge wardrobe, an enormous and hideous mirror or a piano would come blundering down one of the narrow streets, a hamal peeping out from under it, and it would sometimes meet a sewing-machine or a feather-bed going in the other direction and get jammed. Mothers and children scurried along with as much as they could carry, and bedridden grandmothers or invalids were half-dragged, half-carried along. All was confusion, grief and hopelessness. We hurried back as soon as possible, for there seemed no reason why the fire should not spread along the line of houses to our hospital, GHQ, and the other offices of the Allies. By nine o’clock huge fire-balls were being blown right into our hospital and even beyond it, for the wind was still in the same direction, and there was great danger that our tents would catch fire, even if the fire itself did not reach us. Members of the staff, armed with brooms to beat out the flames, perched themselves on the ridge-poles of the high tents and stayed there till the wind changed and there was no more danger. “Comme ces dames sont pratiques; les seestaires ont merveilleuses,” said our patients. “Sont des garçons manqués,” grunted Danjou, the taciturn old Medecin Chef from next door. Before midnight the entire town was a semicircle of fire, and it seemed as if nothing could escape; mercifully, after midnight the wind suddenly changed and the flames, instead of licking further eastward, blazed straight southwards to the bay, setting fire to the barques that lay alongside the quay. These barques had been doing excellent work during the progress of the fire, and since the quay was till now untouched they had been able to save the inhabitants and some stores. Now moving out for safety, they spread the fire to other ships, and there was much confusion in the bay for a time. Nevertheless, the change of wind certainly saved the remainder of Salonika, and when daylight broke, though the fire had not stopped, and, indeed, continued to smoulder for days, the danger was over. On all sides we heard praises of the British lorry-drivers, who worked most strenuously and considerately for all, especially the women and children. Of other Allies it was said that the drivers were not above taking tips and that much stealing went on (this is possible, for all the well-stocked shops were completely looted). It was said, too, that it was revolting to see the Russians lying in the gutters drinking the wine which flowed down from the burst barrels in the store-houses on the quay. 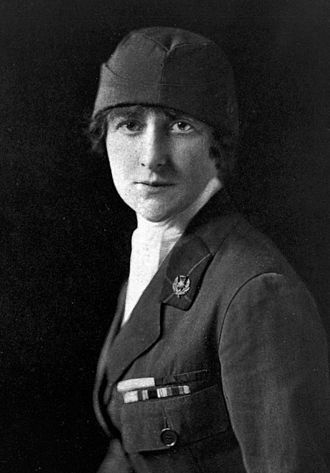 Olive Kelso King did splendid work in this fire, and was awarded the Gold Medal for bravery by the Serbian Headquarters for which she was now working. A few days later we went down to see the town, which was still smouldering and hardly recognisable. 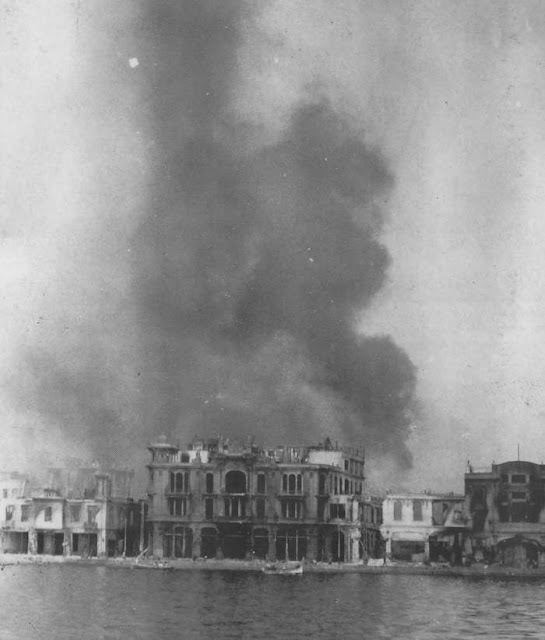 All the quayside buildings were completely gutted, and nothing remained of Venizelos Street or the Bazaar but masses of masonry; every shop and hotel had been wiped out, the roads were blocked with smouldering debris, and the whole place was desolation. The Turkish quarter, however, nestled on the hillside as cheerfully as ever, and the old walls and the mosques rose dignified among the desolation, save the beautiful Church of St Demetrius, which was almost completely destroyed. Many Salonicians were heavily insured with British Insurance Companies, who paid up the full amounts at once, much to the amazement of the inhabitants, who thought it a wonderful and noble act of generosity. Salonika was soon in working order again, though no attempt was made to rebuild it. The inhabitants went back into the skeletons of their shops, raised tarpaulins and corrugated iron, and carried on as brisk a trade as before. Great fires must have occurred many times there during the previous centuries, and the inhabitants seemed to take it all as a matter of course, and hardly ever alluded to it. There was great discussion as to whether it was caused by enemy incendiarism, and since Salonika was full of spies this would not have been a difficult matter; on the previous day Monastir had been evacuated because of a fire caused by incendiary bombs, and Florina had likewise suffered. Be that as it may, the official opinion seemed to be that it was accidental, and was caused by a careless housewife upsetting some boiling fat on the fire. The city was left in complete chaos after the fire but the government had to reconstruct itself. But there was a new plan for Thessaloniki, a want for a more urban city feel. The minister of transports, Alexandros Papanastasiou, was chosen to lead this task and created the "International Committee for the New Plan of Thessaloniki." Ernet Hebrard was chosen to be the head architect, and the goal was to redevelop the city according to European lines. After the reconstruction, the city had better squares, transportation, and less cluttered streets. 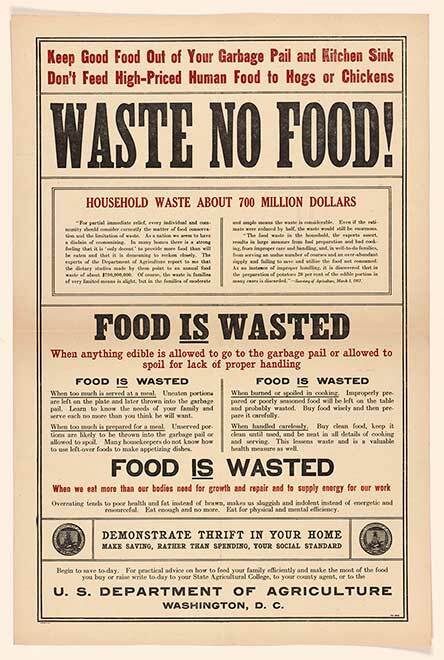 The U.S. Food Administration distributed, through its various state organizations, this broadside and others like it to stem the waste of food. Volunteers, most often club women, posted the broadsides "in every place where numbers of people will see them," including schools, libraries, groceries, and public transit. The 1917 Official U.S. Bulletin reported, "Waste in any individual household may seem insignificant, but if only a single ounce of edible food, on the average, is allowed to spoil or be thrown away in each of our 20,000,000 homes, over 1,300,000 pounds of material would be wasted each day. The housewife must learn to plan economical and properly balanced meals, which, while nourishing each member of the family, do not encourage overeating."